A furious fusion of post-punk, psychedelia and krautrock, ‘Bloodworm’ is the new single by British four-piece, Japanese Television. Recorded by Kristian Bell of The Wytches in an old isolated village hall onto an 8 track tape, ‘Bloodworm’ follows the band’s acclaimed 2018 debut EP, and finds them further exploring the outer reaches of their versatile sound. ‘Bloodworm’ is a furious, fuzzed up trip across a cosmic, kaleidoscopic world – owing as much to post-punk, psychedelia and krautrock to sci-fi, it is whirlwind of exploding colours and exhilarating energy. The pace is unrelenting, frantically clamouring to one frenetic crescendo as another, propelled on the back of breakneck beats, scintillating riffs, off-kilter rhythms and a swirl of demonic organs – forged together, it is delivered with a burning intensity. 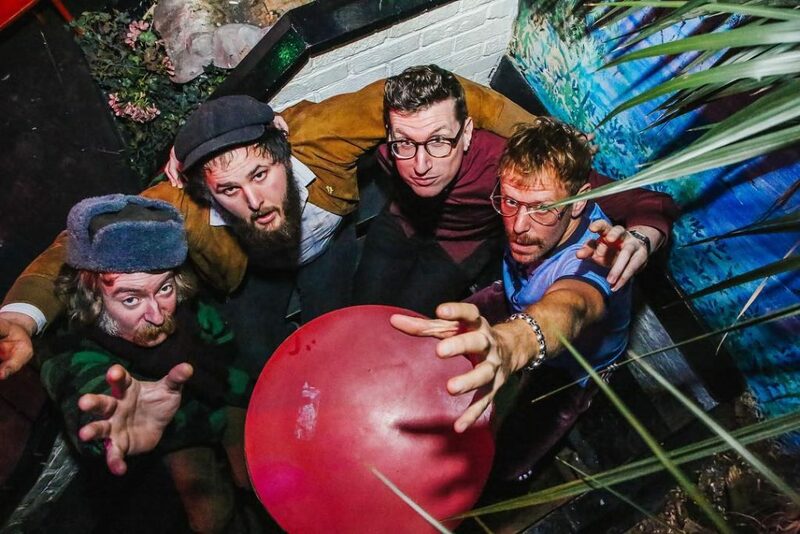 Frantic, fevered and frenetic; ‘Bloodworm’ is an outrageously brilliant track (and one that is a close relation to one of Wales’ finest sons, Hippies Vs Ghosts). Listen to ‘Bloodworm’ below, it is out now via Tip Top Recordings.